GLI Appearing at OIGA Trade Show; GLI Experts to Address Attendees. 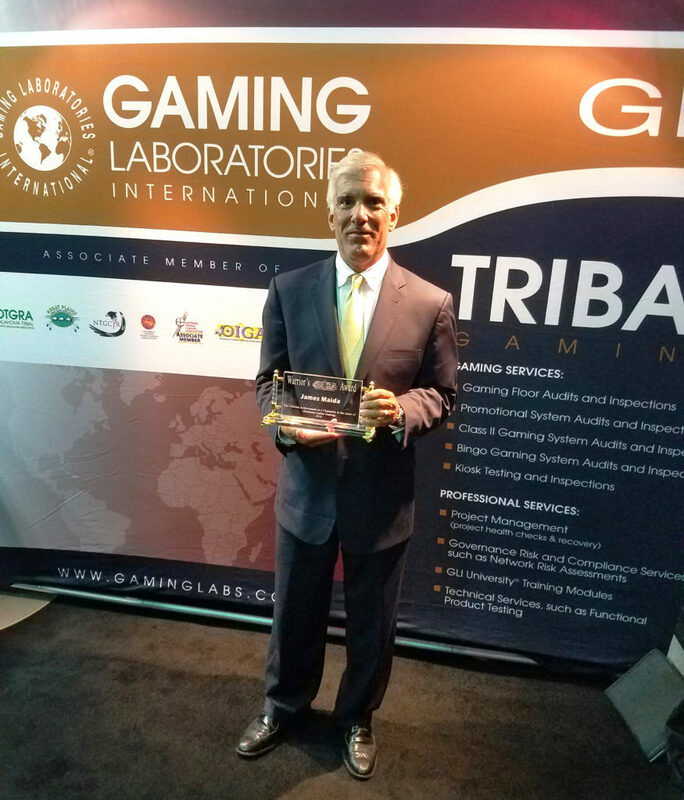 Gaming Laboratories International’s (GLI) President/CEO James Maida has been a supporter of Oklahoma Indian gaming for more than 20 years, and now the Oklahoma Indian Gaming Association has honored Maida as a recipient of the organization’s prestigious Modern Day Warrior Award. Maida’s involvement with Oklahoma Tribes dates back to the beginning of tribal gaming in the state. Maida served as a fact witness in multiple cases in Oklahoma’s pre-compact era, such as the landmark Seneca-Cayuga Tribe of Oklahoma et al v. the National Indian Gaming Commission et aland cases involving Mega Mania, Lucky Tab II Pull-Tab Game, Tab Force, and Wild Ball Bingo. These cases set the stage for gaming in Oklahoma as it is known today, and Maida’s testimony, along with many others, was critical to the proceedings.